We believe that the full participation of young people in the political process is essential to a truly representative, vibrant democracy. 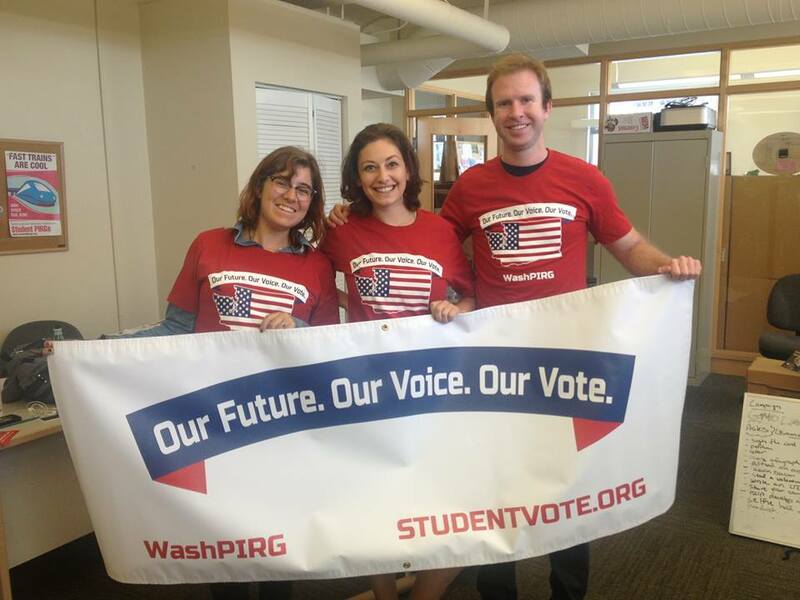 For decades WashPIRG’s New Voters Project has helped register and mobilize thousands of students to vote. We’ve also been working to break down barriers to make voting more accessible for younger generations, and in 2018 helped pass reforms to establish automatic voter registration, pre-registration for people under 18, and same day voter registration in Washington. Livestock producers are routinely giving antibiotics to animals to make them grow faster or help them survive crowded, stressful and unsanitary conditions. Overusing these drugs—in humans or animals—breeds bacteria resistant to the antibiotics, threatening the future effectiveness of these medicines, and putting our health at risk. For years we’ve been working to stop the overuse of antibiotics, and protect our life-saving drugs. Through social media organizing, petitions, and public pressure, we have helped to convince McDonald’s Subway and KFC to stop serving chicken raised on our life-saving medicines. Since the Supreme Court’s Citizens United decision in 2010, the super wealthy and the mega donors have gained even more influence in our Elections. Spending on political races has skyrocketed, and running for office has never been more expensive. Though we know we ultimately need to overturn the Citizens United decision to reclaim our democracy, in the meantime we’ve had success in amplifying the voices of ordinary people in our Elections. 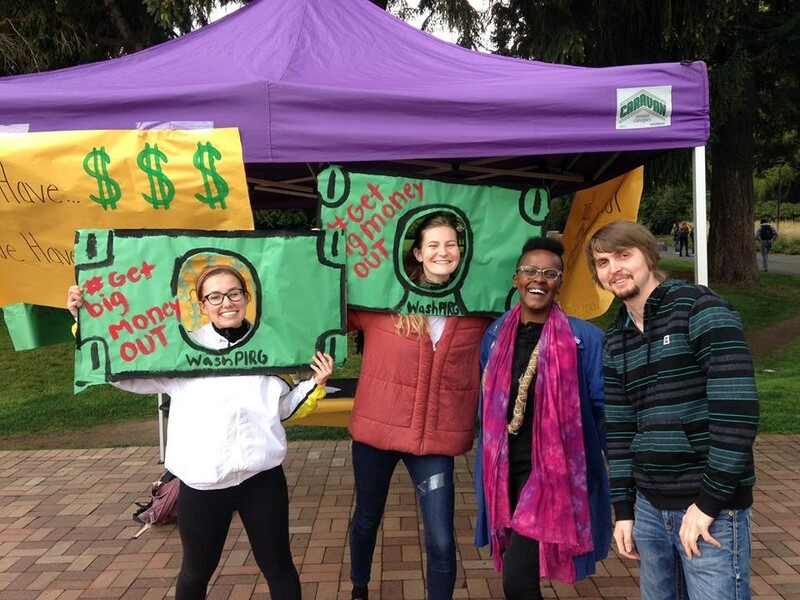 In 2015 we helped pass the Seattle Honest Elections Initiative, which enacted several campaign finance reforms including setting up a voucher program to make it accessible to run for office. 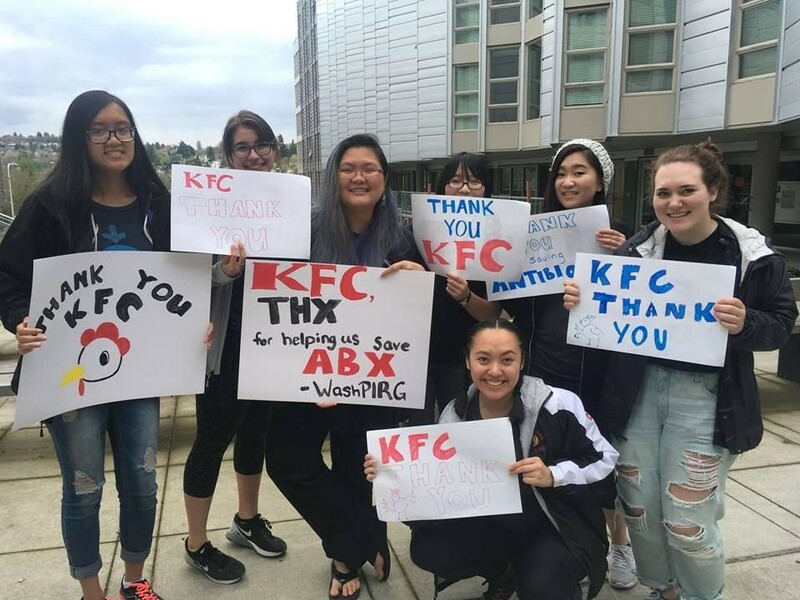 WashPIRG was started by students in the 1970s to take on important issues have a voice in city, statewide, and national debates. For over 40 years we’ve helped students get civically engaged and make real change in their communities. We helped create one of nation’s strongest toxic waste cleanup laws in the 1980s, strengthened recycling programs in Washington in the 1990s, and helped pass laws for more clean cars in state in the 2000s. And through our successes have educated and trained thousands of students to be effective change makers in their community. To this day we are directed by an all student board of directed and funded by student fees.